A no fly zone for aircraft, including drones will be in place in Screggan for this year's National Ploughing Championships. The The Irish Aviation Authority (IAA) has issued a Flight Restriction Notice for the vicinity of the event which will be in effect from September 18 to September 20. The restrictions apply up to a height of 2,000 feet. 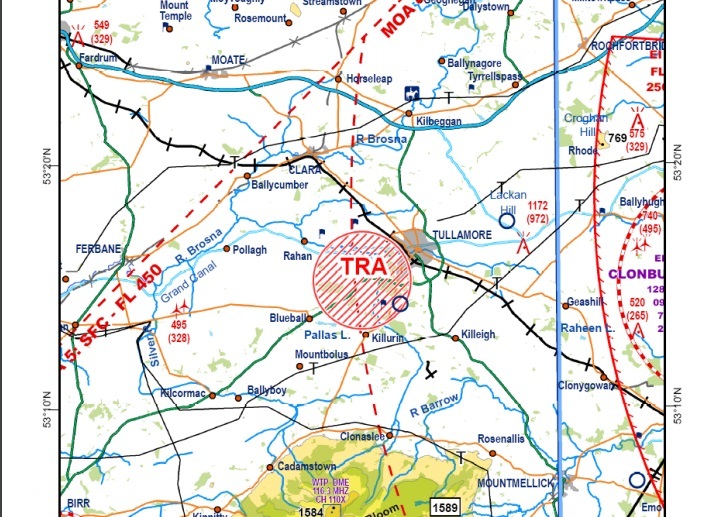 According to the IAA, the purpose of the Temporary Restricted Area (TRA) is to ensure the safety of aircraft operating into and out of The National Ploughing Championships and of other air traffic operating in the vicinity. Certain flights will be allowed operate in the restricted area if required. These include State, Search and Rescue (SAR operational) and emergency air ambulance aircraft. Also allowed to operate will be any aircraft specifically authorised by the Event Organiser,Ms. Annamarie Mc Hugh, of The National Ploughing Association. photography, dropping of articles, aerial application and aerial survey; Micro-light aircraft; Flight Training; Parachute Dropping; Small unmanned aircraft (including model aircraft and drones).